There are no two ways about it anymore. 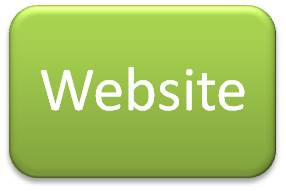 If you have a business of any kind or size, you need to have a website. Most people have smart phones and connect to the internet and search for information – and if you want to attract those people, you just need a website. Of course there are other reasons why it is absolutely imperative for your business and your brand to have an online presence. To tell the world about the products / services that you offer – you may have the most wonderful product under the sun. But if no one knows about it, then there is no point whatsoever. Be as detailed as you can – tell your customers everything – what you have to offer, where you are located, what it costs, if you have business hours, then that, etc. It is said that billions of people go online and use the internet. Most of those people have done some research about a product, got some information, or bought something, etc. online. By having a website, you are letting all these people know that you exist and that they should check you out. And we need to factor in the fact that today’s customer is evolved and very well informed. He is more tech-savvy than the average customer of even 5 years ago. He goes online and googles to find answers to questions he does not know. Having a website is the best way to attract people like these. If they are looking for a hotel or a restaurant, they google! And with some great search engine optimization, that’s exactly where they will find you! Unlike most brick and mortar structures, a webpage stays alive and brightly lit all the time! 24×7. despite Katrinas or Tsunamis. Or maybe not. Depending on where one’s server is located. But you get the drift – you are accessible all the time. If you wish to communicate with your customers, you can just post something on your website. If they have a query, they can either find your number located conveniently in your website, or they can simply send you a mail or message – on your website. Or they can just read up in the very useful FAQs that you have so thoughtfully uploaded on your website. This is a great way to market to your customers – and your prospective ones as well. You can tell them of new offers or discounts and woo them without having to resort to traditional advertising. Beat the competition – and how! Here is the best way in which you can put all your fabulous ideas to work. You can watch the competition like a hawk and beat them at their own game. Face it – it is very professional. That you have a website. And have an email address that is not a gmail or a yahoo address. It just ups your business value to a whole new level. It is not enough just to have a website – you need to optimize for mobile. We are told by many – “mobile first” – we even hear “mobile only”! The fact is that Mobile shopping has overtaken desktop shopping. Mobile searches have long gone past desktop Googling. In such a scenario, in order to keep up with the competition and beat it, every website needs a mobile-optimized version! Google has a new algorithm which doesn’t include non-mobile friendly websites in their mobile search results! Other search engines are also slowly adopting this! Everyone is mobile these days! Just about everybody! Most people own smartphones. And that translates to easy internet access. It is also an obvious truth that people spend more time on mobiles than any other traditional media device, which even includes the mighty television! A mobile site with mobile-friendly elements has way more transactions happening on it than plain websites. People search for information more often than not on mobiles, while on the go. Not on traditional desktops. And this calls for quickly loading, easily accessible bits of information. A mobile-optimized page gives you the option of offering customers features like “click to call” making it easier for them – and admit it, works great for you too! Studies have shown that mobile users buy more! People make small and frequent purchases on the phone. To get those customers, you need to have a mobile presence. If you have a great mobile presence, it just makes your brand stand out in a crowd. There are some essential aspects to a website. Get a great domain name that will truly reflect what you offer – your brand! The key is to make it short and easy to remember. Long-winded hyphenated words as domain names are not a good idea. Ensure that your site is easy to navigate in. Think of it from the user’s perspective. And not from your own. Make moving around in your website, simple and easy. And if there is an action that you wish your user to engage in (call or buy or sign up) make sure that the calls to action are clearly visible. And easy to use. Again remember that he might be using his smart phone. Small buttons and fat fingers don’t mix! You need to update your website regularly. People coming back to it after some time will expect to see new content and new images. And speaking of images, they must be easy to load – don’t use very heavy pictures which would directly impact your load time. You need a blog. A blog establishes you as a thought leader – as an expert. You can offer value to your customers through a blog. And throw in some SEO – that is how you will be discovered. You can have the most amazing website and product ever, but the whole exercise is pointless if you are not found. Build your content around the words that your customers would use when they are looking for someone like you! Of course SEO is a lot more than just that – invest in some serious Search Engine Optimization and you’re set. Looking for someone to help you with your website?